Since my car was produced in 2003, I thought by giving it a year for the 'bugs' to be worked out would be long enough but it wasn't. I've had a few recalls on alignments and some small issues. But, it has been a great car. The only other downside is that it's a two seater and it is very low profile. The performance and reliability have been great. 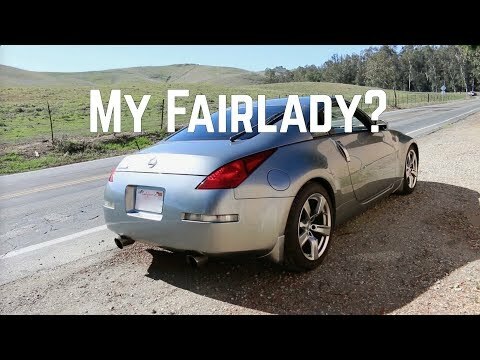 The Nissan 350z is a great entry level sports car. It is perfect for an enthusiast looking for something more exciting for everyday driving. But there are some drawback, such as only having two seats, blind spots, and not-so-great fuel economy. Overall the benefits outweigh the negatives. Little red convertible that is fast. My car is a Nissan 350z roadster convertible. It is red and has aftermarket intake and exhaust so it is fast and loud. It is a really fun car to drive. It has a great kicker stereo system so all my favorite tunes sound amazing. Even though it is almost 15 years old my car is awesome.